ABLE are Exclusive UK Representatives for One Series Safety Transmitters, designed with features that improve productivity, simplify installation and eliminate nuisance trips. The “I Am Working” sensor diagnostics detect shorted, open, and plugged sensing elements. 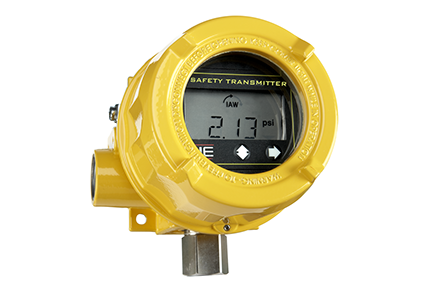 The One Series Safety Transmitter’s analog output meets the NAMUR NE 43 standard and provides process variable and detected-fault info. Discrete outputs provide a fail safe emergency shutdown when faults are detected. Set point and deadband are fully programmable. The transmitter is password protected to prevent any unwelcome parameter changes, which eliminates the risk of tampering. Also, LED backlighting helps viewing of the process variables, parameters and status in poorly lit areas.